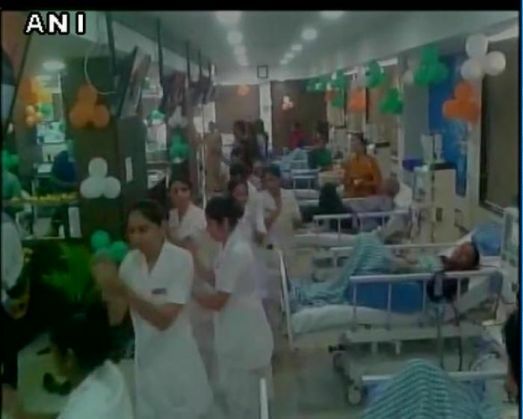 Home » Bizarre News » Video: 'Munnabhai' moment at civil hospital in Ahmedabad, staff performs Garba in ICU ward! In a bizarre incident, the staff of a civil hospital in Ahmedabad, Gujarat, performed Garba along with servants and patients as part of an inaugural function on 20 October. HK Bhawsar, the Medical Superintendent of hospital said that no such event was planned during the function and they were stopped as soon as the authorities got to know about it. Perhaps, the staff took an inspiration from a scene of the movie 'Munnabhai MBBS' but it definitely did not go well for them in the end.